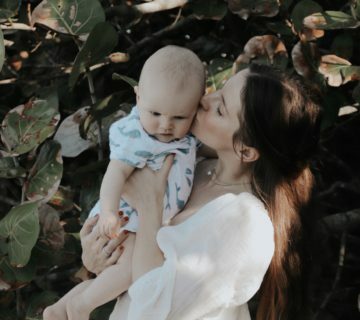 Just like everyone tells you but you don’t understand until you’re in it – babies change your life in every way. Nick and I no longer have time for luxurious walks to get fancy coffee – hand in hand, just to come back home and take a nap, (omg that’s all I want to do right now). Now we’re on Cora’s schedule and since she’s not a fan of sleeping, we don’t get to be either. Enter: all the coffees. We love coffee at our house. 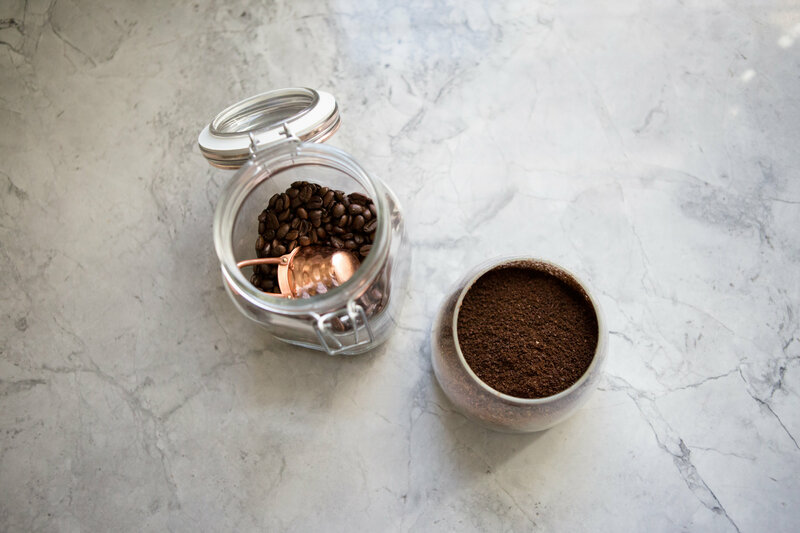 And not in a, ram a Vanilla Sugary Coffee pod into a [insert whatever brand pod coffee maker here], but in a walk to our local pour-over shop, or the little place around the corner that harvests and roasts its own beans, way. We like real, honest coffee. But since Cora’s schedule does not normally leave us lots of time to walk to get a pour over or a macchiato, we wanted to find a way that we could make coffee at home. Not good coffee. Great coffee. 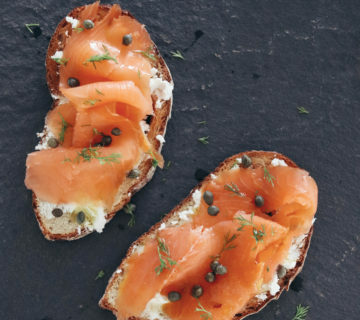 We are huge fans of KitchenAid. 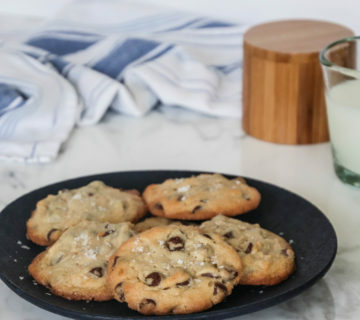 I am a baker, (working on cooking, although my last foray into making dinner was BLAH – good thing Nick cooks so well), and the KitchenAid® Stand Mixer is my all-time favorite gadget. I generally knew that they made coffee makers, so we checked out their site to see what they offered. If you couldn’t tell by my second paragraph – I’m not a huge fan of the pod coffeemakers. I like the convenience, but I feel like it’s cheating. I didn’t want to jump on that train. Welp, I’m on the train. 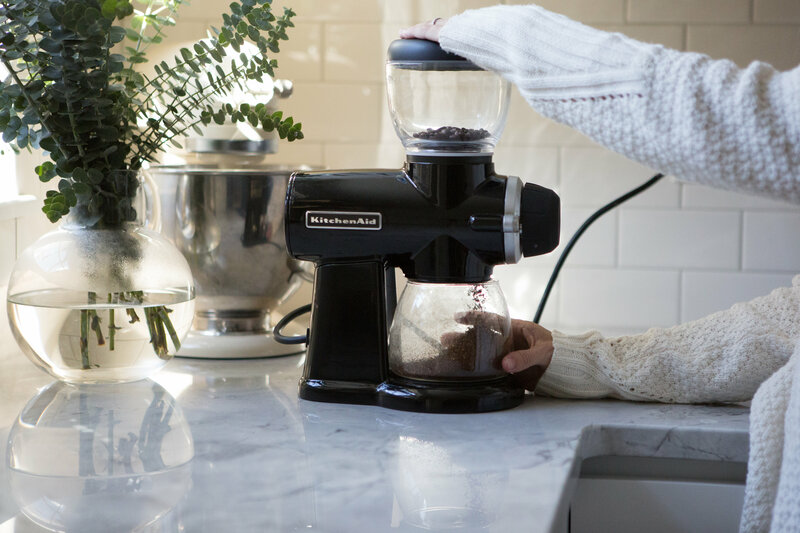 We tested out two different KitchenAid® coffee makers – One for making espresso drinks and one for CRAFT COFFEE. Yes. Sometimes I just want a latte or a cappuccino, so why not just be able to make them at your house. After testing the Nespresso® by KitchenAid® machine, I’m on the pod train. I’m driving that train. It comes with a milk frother that has changed our lives. That sounds melodramatic, but on the reals. The Siphon Coffee Brewer was something I was dying to try. Percolator coffee is so old school and awesome, so I was curious to see how this one would work. So the first time I used it, I didn’t connect the two parts together like I was supposed to and the majority of the water evaporated out before Nick noticed and then we had about a cup of water for enough coffee for like eight cups. It was oil. Moral – READ THE DIRECTIONS. The second time we used it, after we had read the directions like normal humans, we were hooked. It’s what we use on the weekends now – since it takes about 15 minutes to completely brew, but it’s worth it. Trust. 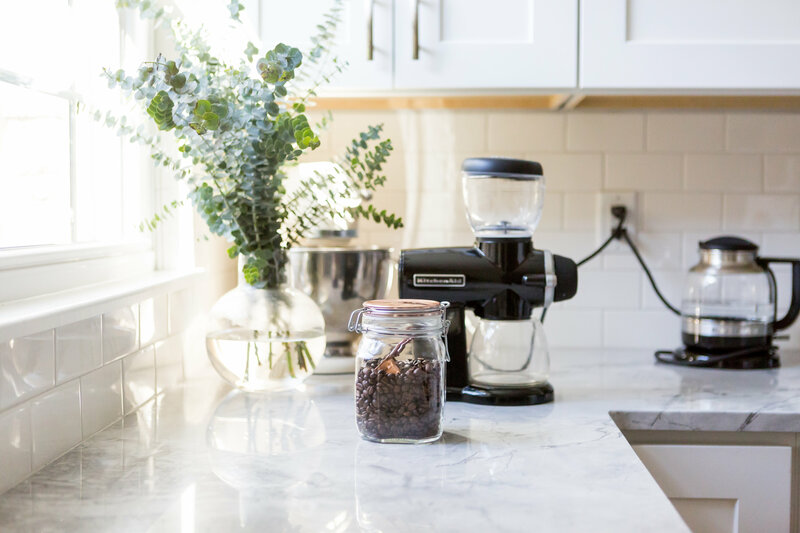 Slow vacuum coffee on the weekends and quick lattes before work – even though our routines have changed, our access to good coffee doesn’t have to. And our little 6 month-old coffee date is well worth it. 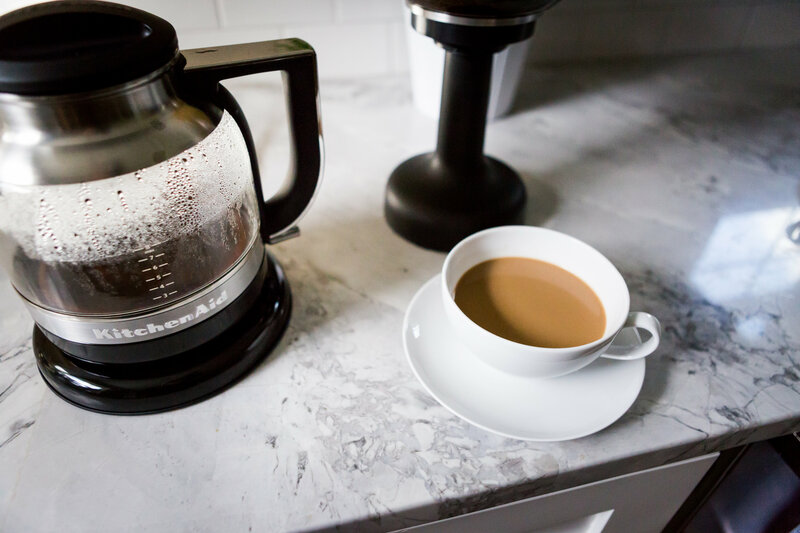 Because I know we are not the only ones who struggle in the mornings and need a little extra caffeinated help, I’ve teamed up with KitchenAid® to give away one of these two coffee makers! 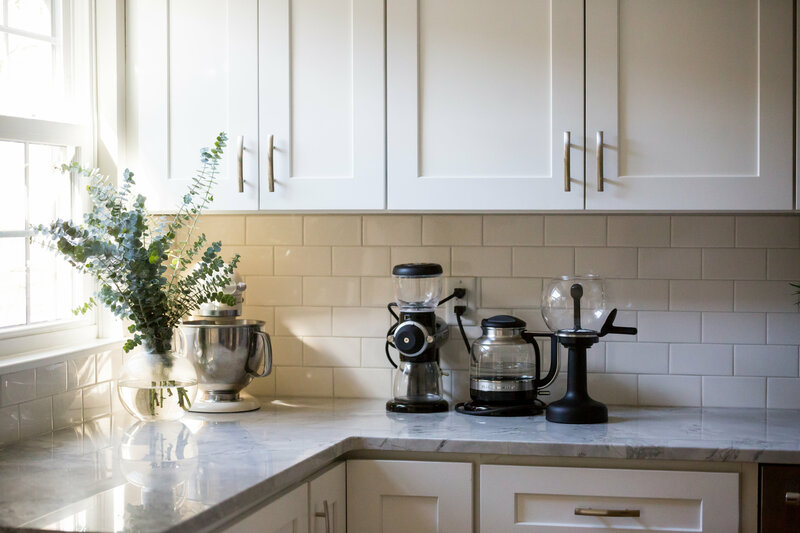 The winner will get to choose which one they would prefer – either the Nespresso® by KitchenAid® with Milk Frother or the Siphon Coffee Maker. 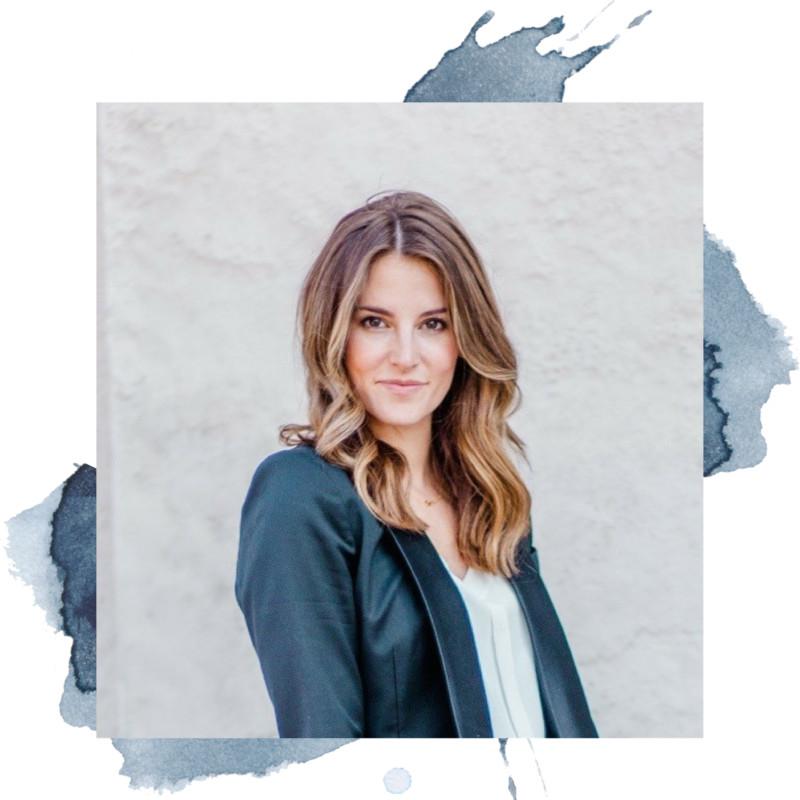 *Giveaway Closed* Congrats to Brooke Mascio!!!! 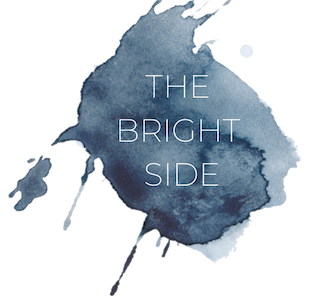 Our other coffee accoutrement linked below. Nespresso looks perfect for us! We love our flavored coffees! 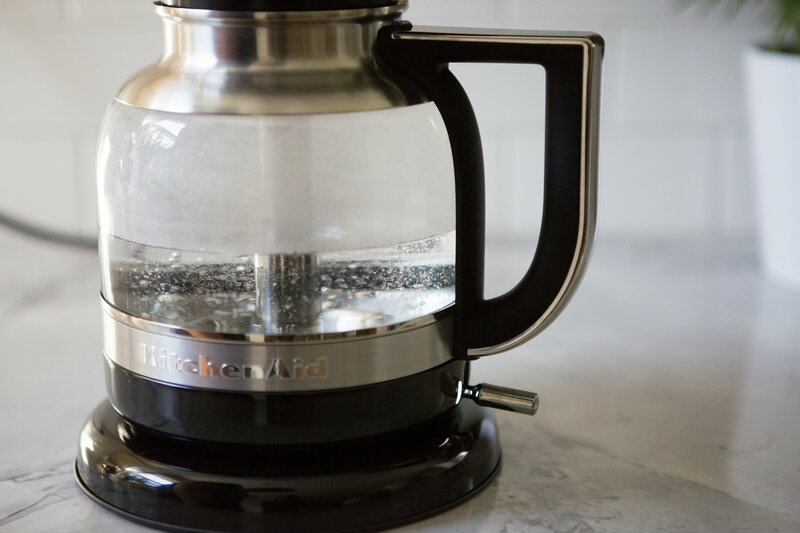 KitchenAid siphon maker…I’ve been looking for a good pour over contraption but can’t seem to find any that people recommend. I am also a fan of walking to Our Local coffee shop for the perfect cup but would love to make it from home on those busy mornings! 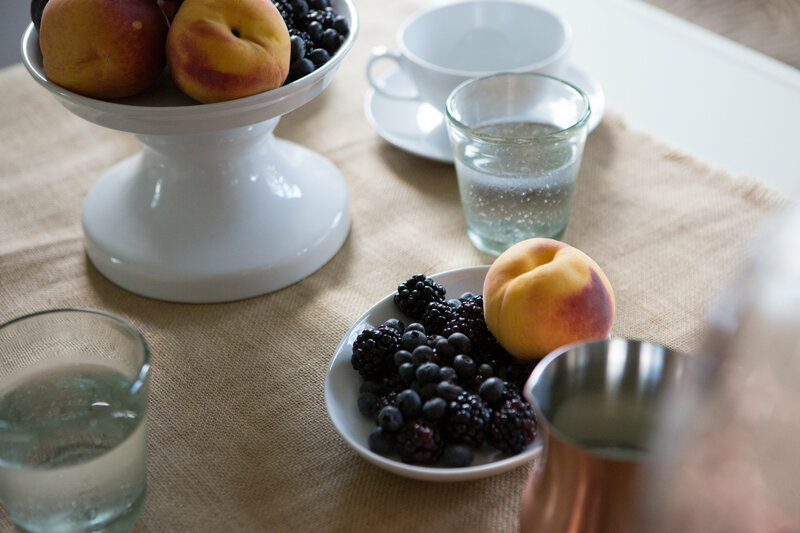 Might also be a good thing to put on our registry… Thanks for the recommendations! Would love to try the siphon coffee maker! I always forget to make myself a pot of coffee in the mornings because I’m so busy scrambling eggs with one hand and stirring stove top oatmeal with the other… sometimes with my 16 month old baby, Colette, on my hip (and sometimes with her poking at my legs asking for “nanas pwees!”). 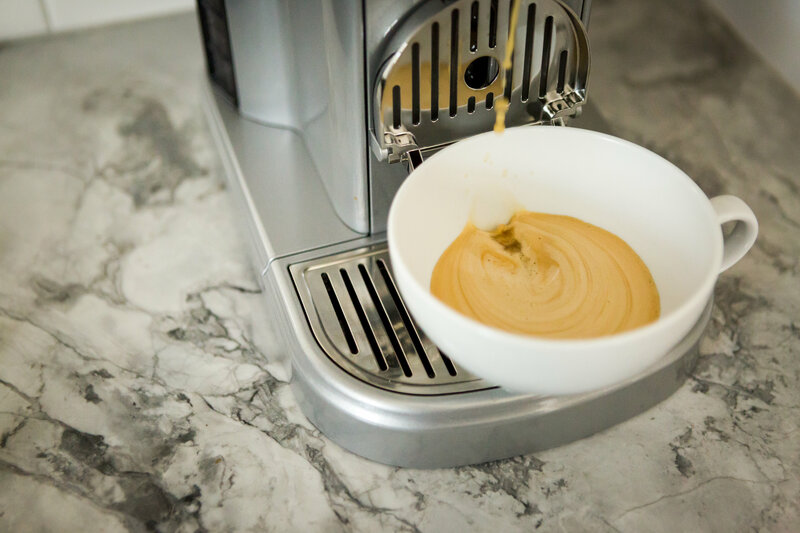 The Nespresso would be perfect in our home for some quick fuel, and it reminds me of sipping espresso with my husband in our hotel room every morning on our honeymoon! 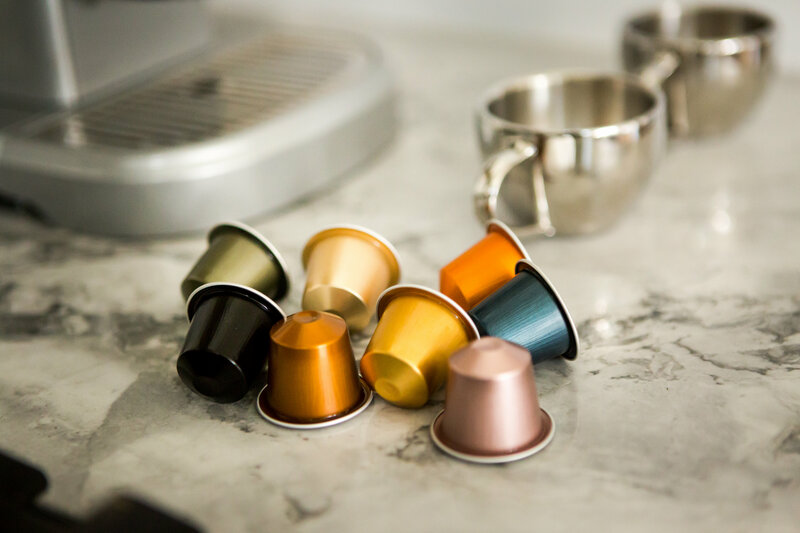 I love the concept of the NeSpresso and the idea of having quality coffee but with the ease of pods and the fact that they are recycleable!! With a business to run and two kiddos, mornings are not glamourous. Love the idea of having my morning coffee be a step up and being a special treat without the fuss. I am dying to try the Nespresso! I have heard so many good things about it and I LOVE that the pods can be recycled. Because trust me, I’m more of a recycle freak than anyone! 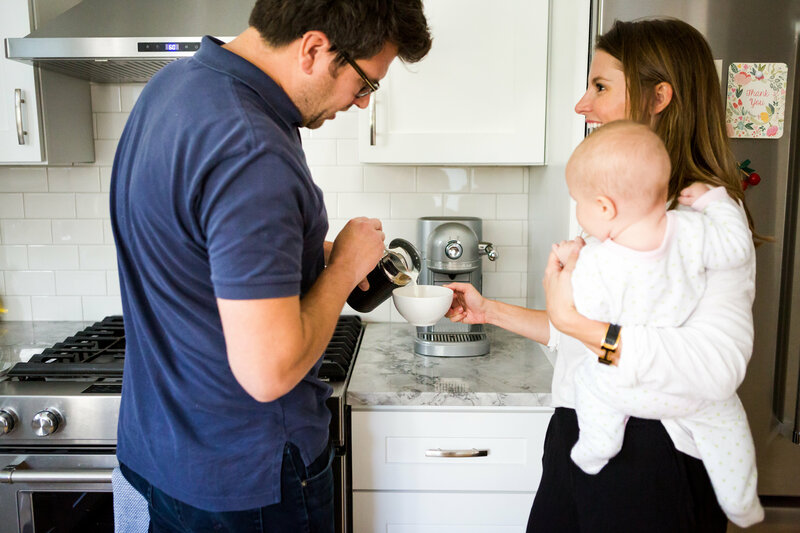 I would love to try the NESPRESSO® WITH MILK FROTHER- it looks amazing in the website and I love the way you described it- it sounds like something that would greatly benefit my family, especially me with a newborn! The Nespresso brewer is everything I’ve been looking for, and I love that they let you recycle the pods, free of charge! 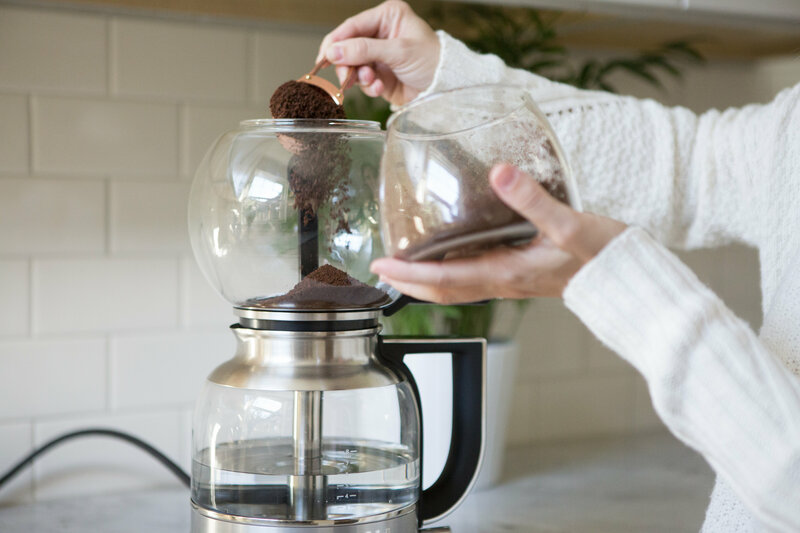 I’d love to try the Siphon brewer because we love our restful Saturday mornings and would just love the smell of this slow-brewing for 15 minutes while we cook up some brekkie! Oh wow! The Siphon Coffee Maker looks fantastic. It is sleek in design and most importantly SIMPLE- which is exactly how we like our coffee and our weekends. Really love there in no need for paper filters in this coffeemaker! LOL girl- ” It was Oil. ” … died. 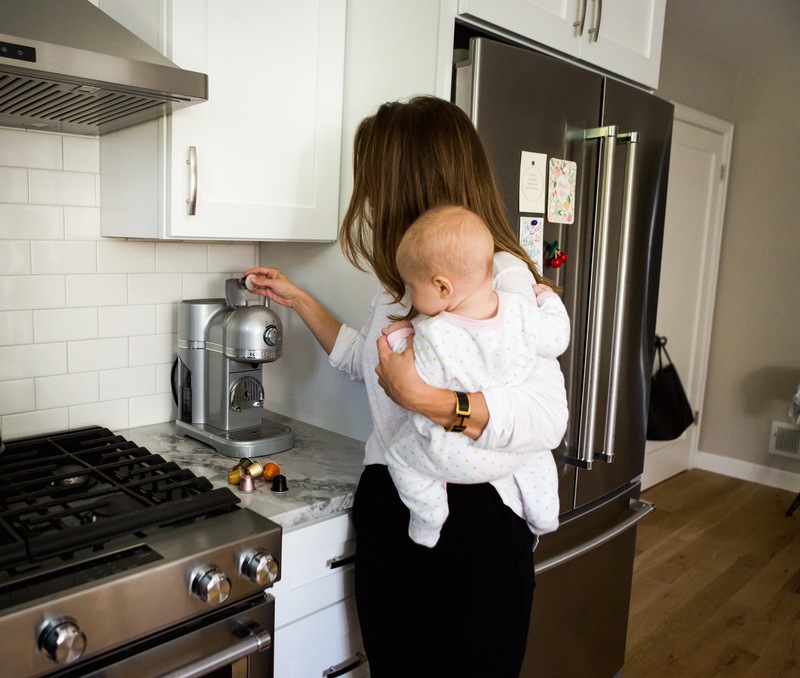 Ahhhhh would die for that nespresso machine with my 4 month old twins and a toddler!!!!! I definitely need the Nespresso, I don’t like to leave the house without drinking my coffee. Its what wakes me up in the morning. 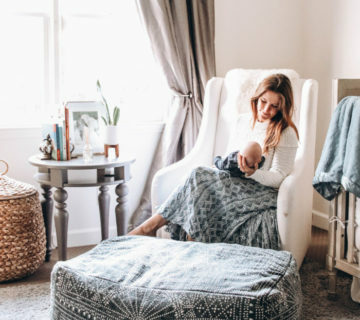 I’m in need of good coffee fast and with one hand, as my 3-week old babe is usually in my arms. The Nespresso would be perfect! I’m like you, seriously missing good craft coffee since becoming pregnant!! Hmm, tough decisions because I would love and use both… I already have a pod brewer that does its job but I would LOVE a pour over maker.. syphon style for me. I adore a fabulous cup of coffee and I don’t have any local shops near me (at least not in walking distance) so when I am working from home I can get great use out of it. I would love to try the Siphon coffee maker. 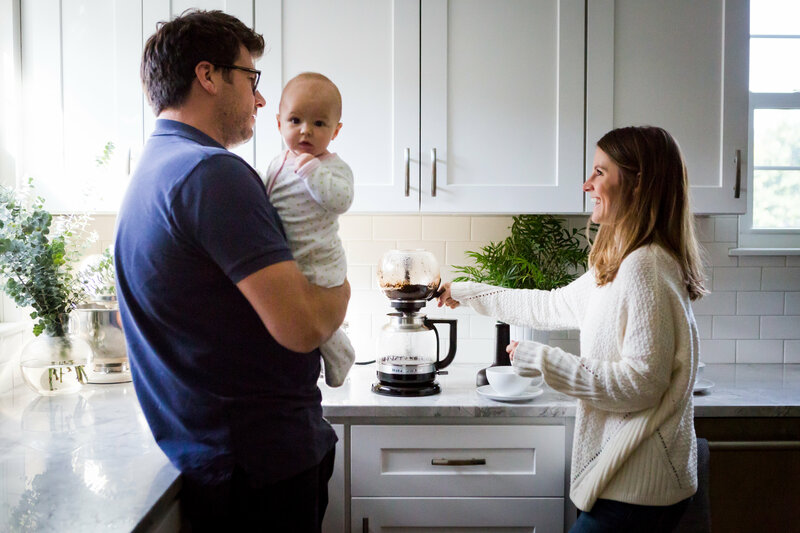 I also have a baby who doesn’t sleep (Clara age 4.5 months) and being able to have really good coffee in my own house would be a dream come true. Maybe my husband and I could pretend we were at a coffee shop on Sunday mornings while the baby naps! (Jk babies don’t nap when you want them to… nice to dream though). Love the Nespresso with frother. I’m such a fan of the pods and the ease of use but love the idea of having that special element of the frother. I need it in silver or black please – thanks, lol! I would love the Siphon Brewer! Not only is it gorgeous, I love that you can relax and watch the whole process. Thank you for the wonderful giveaway. The Nespresso would be perfect for us! The weekdays are so busy we hardly have time for anything! A quick shot of espresso would be perfect! I would love to try the Siphon coffee maker! Wow! I would so love to try the vacuum one! I’ve tried the nespresso and it is great but the vacuum sounds decadent! The nespresso for sure! I am a huge fan of lattes, cappuccino & espresso, but we live in the middle of no where and am a 45-60 minute drive from the closest coffee shop. It would be an absolute game changer in our house! The Siphon Brewer! I use something similar when I go camping, it makes the best coffee! And slowing down on the weekend would be the perfect time to use it. The siphon is eye candy! I love the look and technique. I would enjoy trying a brewing method. Siphon Brewer! We use a percolator still . Would love to have the Kitchen Aid Siphon Brewer! 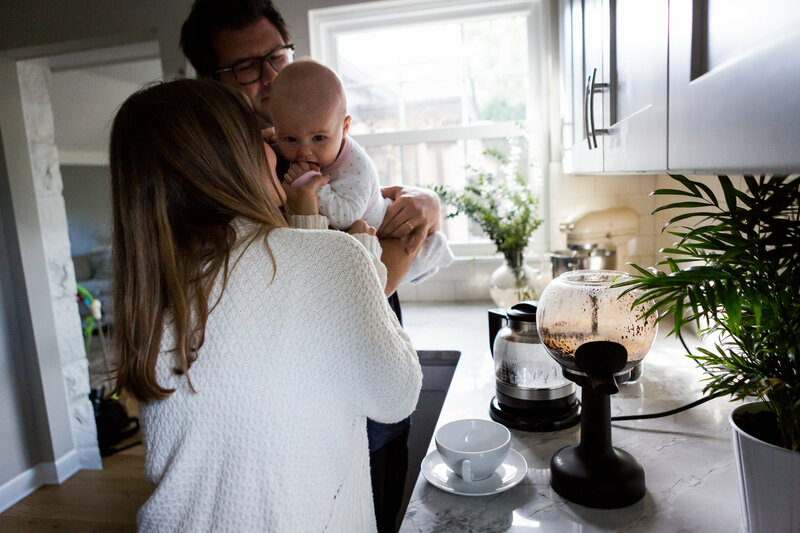 The Siphon Coffee Brewer would work the best for my family. I would love it and I think my parents when they came to visit would really enjoy it. 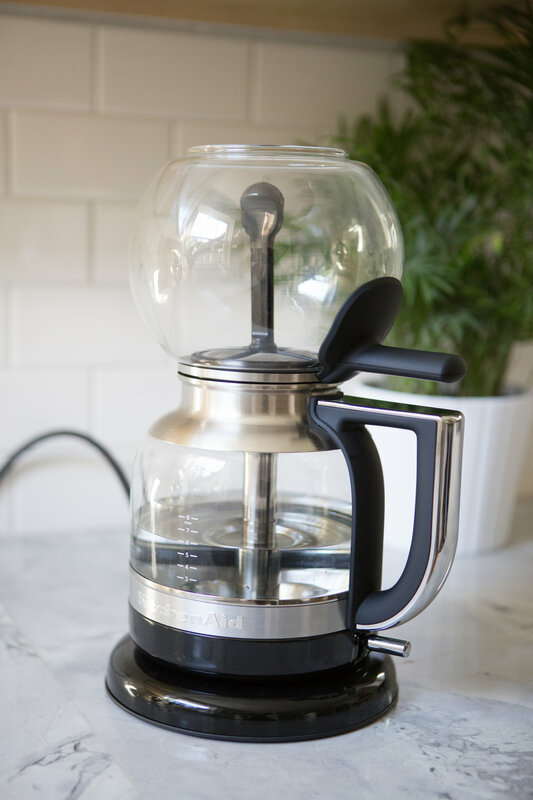 I had never even heard of the siphon brewer…I have been wanting to brew better coffee and after visiting the KitcheAid website and watching the videos, I am in! thanks for the giveaway!! I would love that siphon coffee maker. They are amazing fun and the process is just relaxing to me. Perfect for the weekend. The siphon brewer is gorgeous. I had a vacuum brewer a while ago, and watching it was an E-Ticket experience. It’s the perfect machine in my opinion – breakfast and a show. 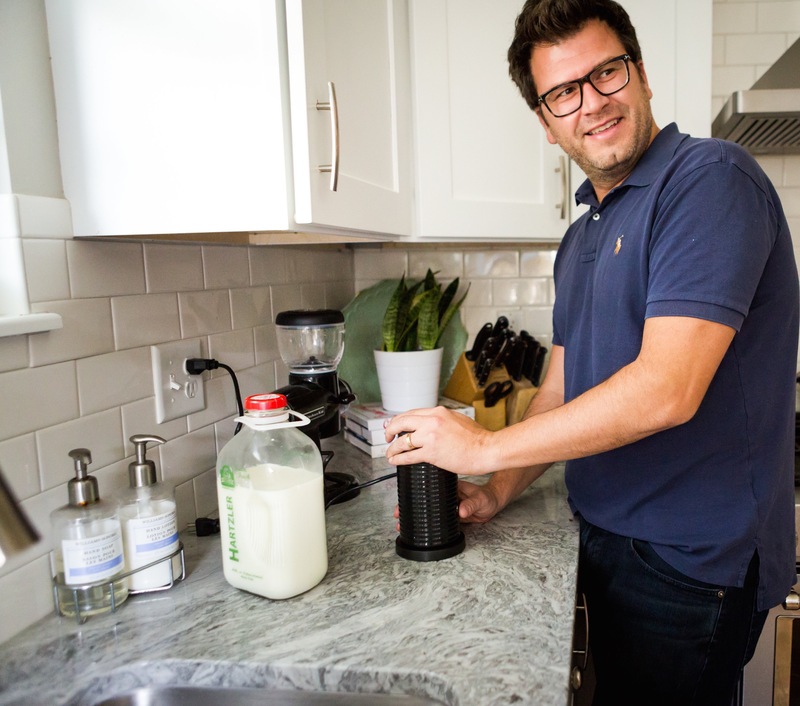 I’m an aeropress convert for single serve, latte-esque coffee drinks, so I’d love the siphon setup for larger coffee brewing needs. I’ve actually been debating getting an old stovetop siphon model like my mom talked about growing up with, but hadn’t yet indulged! I would love the siphon to slow things down on these rich autumn weekends! Beautiful, sleek design. I would love the Siphon Coffee Brewer! 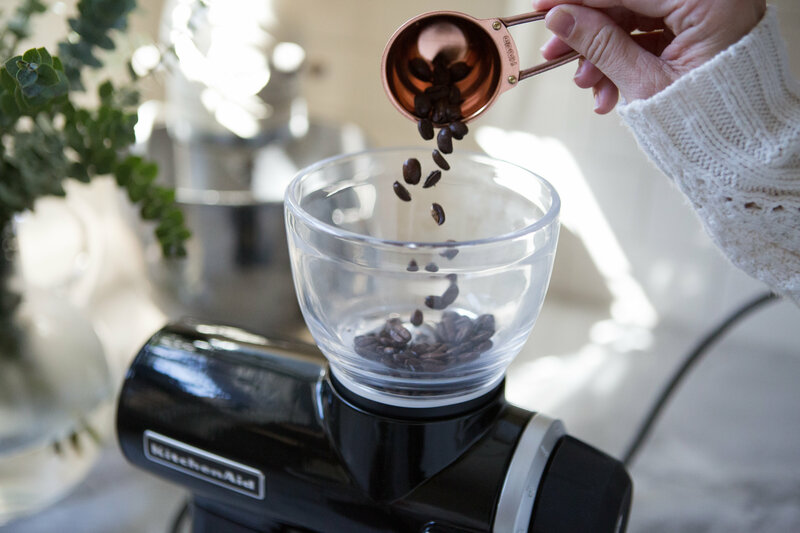 The brewing method is different from anything that I’ve used but I like that it makes a lot and it sounds like it would make a great pot of coffee! !